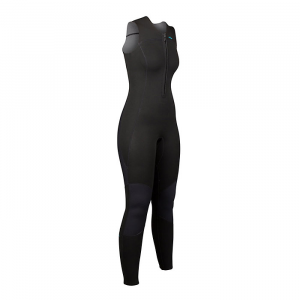 NRS Women's 2.0 Farmer Jane Wetsuit - The Women's 2.0 Farmer Jane Wetsuit by NRS provides an excellent amount of protection for cooler conditions without the bulk or restrictiveness of thicker suits. 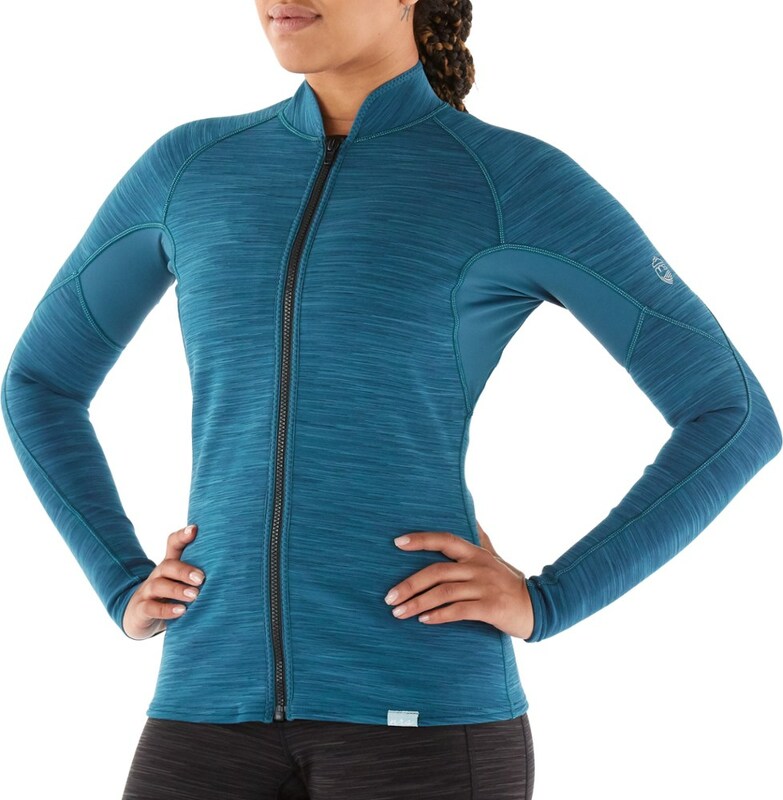 Tailored for women, the high-stretch 2 mm neoprene keeps you warm in cooler conditions without unnecessary bulk, while the smooth nylon interior is comfortable against bare skin. Generous armholes give you excellent freedom of movement, while durable flat-lock seams lie flat on your skin for greater comfort. It has a Titanium laminate adhesive that reflects heat back to your body, keeping you warmer, and the Fuse Cut technology seals cuffs and edges without limiting the neoprene's stretch. ToughTex pads on the seat and knees add protection and durability, and YKK ankle zippers make this suit easy to pull on over booties. The NRS Women's 2.0 Farmer Jane Wetsuit, sometimes less is more. Sometimes less is more. 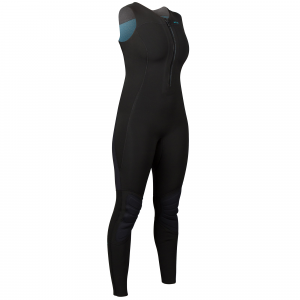 The NRS Women's 2.0 Farmer Jane Wetsuit provides an excellent amount of protection for cooler conditions without the bulk or restrictiveness of thicker suits.. . Sometimes less is more. 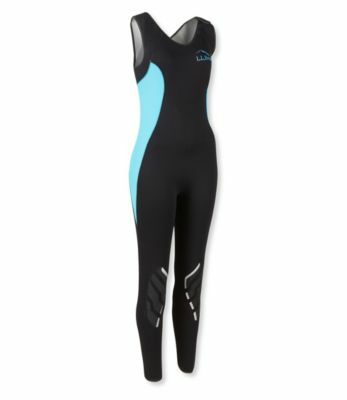 2 mm neoprene in the NRS Women's 2.0 Farmer Jane Wetsuit is less restrictive than thicker suits, while providing much needed protection. High-stretch 2 mm neoprene keeps you warm in cooler conditions without unnecessary bulk, while the smooth nylon interior is comfortable against bare skin. Generous armholes give you excellent freedom of movement. Durable flat-lock seams lie flat on your skin for greater comfort. Our Fuse Cut(TM) technology seals cuffs and edges without limiting the neoprene's stretch. Titanium laminate adhesive reflects heat back to your body, keeping you warmer. We've added rugged ToughTex(TM) material to the seat and knees for extended durability.